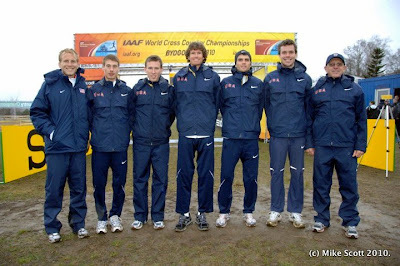 In Bydgoszcz, Poland, 135 men competed in the 12 kilometer World Cross Country championships. Team USA finished in 9th place, with 182 points. 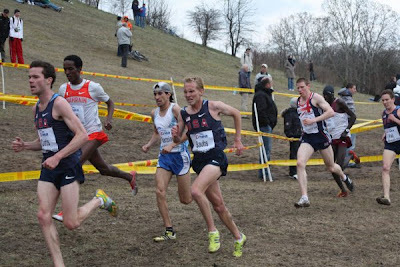 Former Villanova all-american and national champion Bobby Curtis was representing the USA for the second year in a row (he finished 37th in 2009), and finished 48th. "I got a little cramp in the middle of the race, lost a few spots, and struggled," said Curtis after the race. "It was tough out there. I think everyone on the team thought they were capable of a top 40 finish, and Patrick was the only one who did that." Curtis finished 2:08 behind the individual winner, Joseph Ebuya of Kenya.